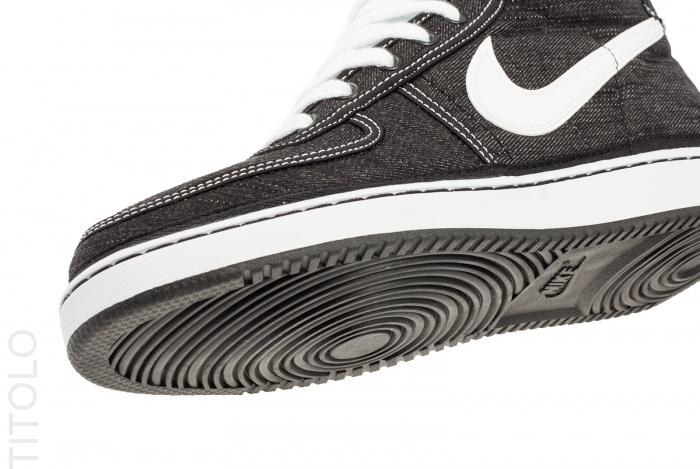 The Vandal High by Nike will make its return next year in a never before seen full-denim build. The new look Vandal takes on the perfect lifestyle-driven look, covered entirely in denim with leather Swoosh logos over a classic rubber sole. Black acts as the base color on this upcoming release of the Vandal, while white contrasts over the Swoosh logos, laces, tongue and midsole below. The 'Black Denim' Nike Vandal High Supreme is set to release next month at authorized Nike Sportswear accounts nationwide.